From polar bears in Canada to the highest peaks on the planet, hundreds of millions of people searched to the edge of the world and beyond with Google Earth in the last year. On Earth Day 2017, we shared a brand new version of Google Earth that works on the web, Android and iOS. 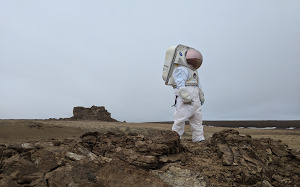 Since then, hundreds of millions of people, big and small, took a spin on the globe; armchair explorers everywhere followed along with more than 300 Voyager stories in 8 languages; and we learned that you can have too much of a good thing 🍔.To celebrate the past year of whizzing around the globe, here’s a look at what made Google Earth go round over the last 365 days. 1. Home is where the searches start. But they don’t stay there. The first place most people search for on Google Earth is home. But that’s only the beginning. 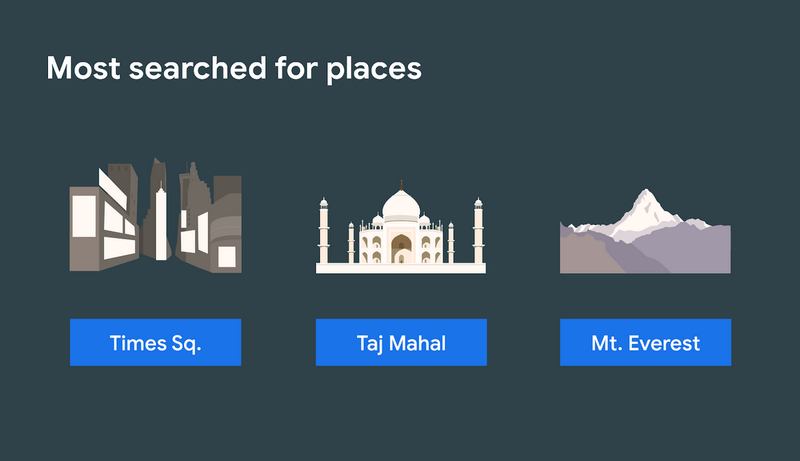 From there, you search most for natural wonders and famous landmarks of the world, like Times Square, Taj Mahal, Eiffel Tower, Mount Everest and Niagara Falls. Many of you have an out-of-this-world fascination with Area 51. And, yes, we recently saw a bump in searches for Wakanda. When it came to physically leaving home, many people stuck with classic travel destinations like New York City and Paris. But you also had dreams of oceanside views and crystal waters—our next most popular travel itinerary was for Santorini, Greece. 2. Three billion people got an updated view of their neighborhood. We’re updating the imagery you see in Google Earth and Google Maps all the time. 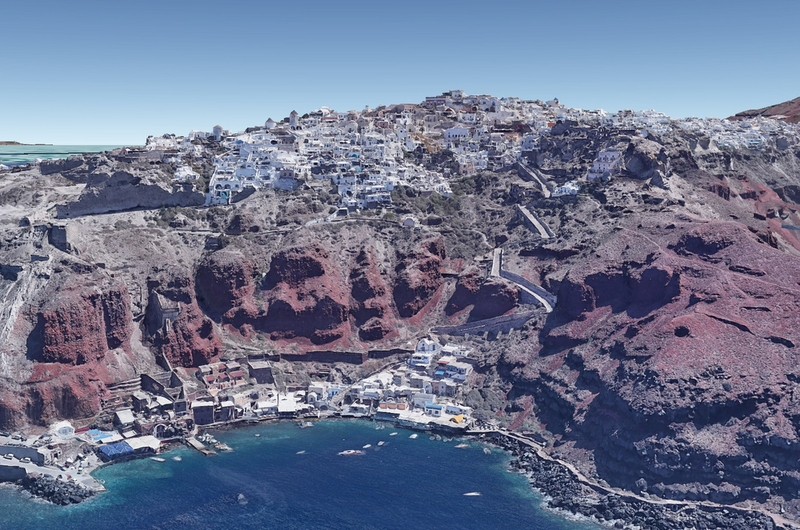 Within the past 12 months, we’ve added enough new 3D and 2D imagery to cover 3 billion people, or about 40 percent of the world’s population. 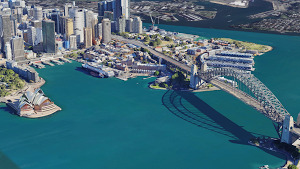 New York City, Stockholm and Hakodate, Japan are just some of the more than 400 cities and metro areas that got a makeover with new high-resolution 3D imagery. 3. Yahtzee! You’ve rolled the dice 190 million times. I’m Feeling Lucky is now one of Earth’s most popular features. It’s simple: Click the dice icon and fly to a random, awesome place on the globe. Since launch, you’ve rolled the dice 190 million times, or about six rolls per second. And because it’s almost our favorite day of the year, Earth Day, we’re feeling extra Lucky—Earthy, even. 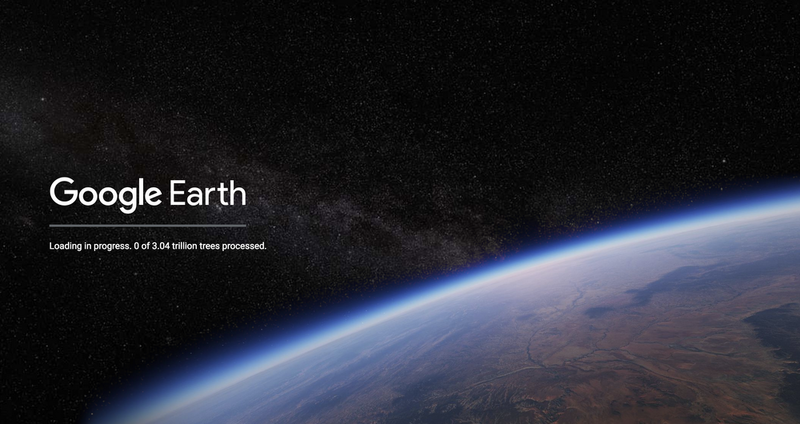 Tweet #ImFeelingEarthy to @googleearth and see where it takes you. 4. You’ve got mail! The world created $50 million worth of postcards. We’ve all been there: Daydreaming about that next great adventure. That’s why we built the Postcards feature for our Android and iOS apps, so that once you found that beautiful place—Lagos, Portugal, anyone?—you could share with a friend and get them dreaming too. Last year, you created more than 40 million postcards—in postage that’s about $50 million, €39 million or ¥3 billion. 5. You got the warm fuzzies watching 18 live animal cams. Thanks to Explore.org’s network of live nature cams in Earth, you could observe brown bears fishing for salmon in Alaska and polar bears poking around the Tundra Buggy Lodge in Churchill, Canada. Even when Charlotte and Charlie’s osprey nest was empty, we couldn’t look away! Stay tuned for puffin and guillemot action in the next few weeks. 6. Voyager stories took you from home to space, and everywhere in between. From the Great Sphinx to Mars to a crater in Mexico, millions of you followed along with more than 300 interactive tours in Voyager. Our most popular stories introduced new cultures and habitats: This is Home, I Am Amazon and BBC Earth’s Natural Treasures. Teachers and students explored the solar system with Japan’s Miraikan and investigated the end of the dinosaur age with HHMI Biointeractive. And some stories were just great eye candy: Earth View and NASA’s Earth at Night. We built an eclipse generator for the coolest event of 2017. It’s been a busy first year for the new Google Earth! Here’s to another 365 days of exploring the world.